This represents the final post in this series. Parts 1 to 3 would make useful reading if you are reading this topic for the first time. Here are the links. 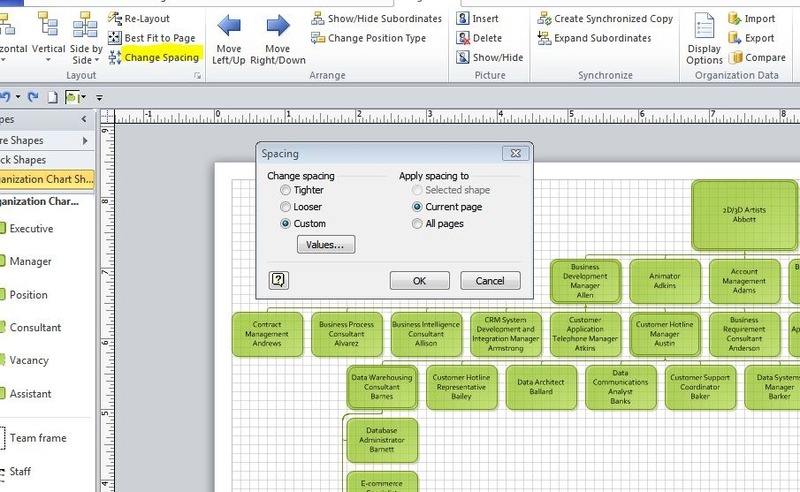 In addition to selecting the theme you want it is also possible to change the spacing relationships on the chart. 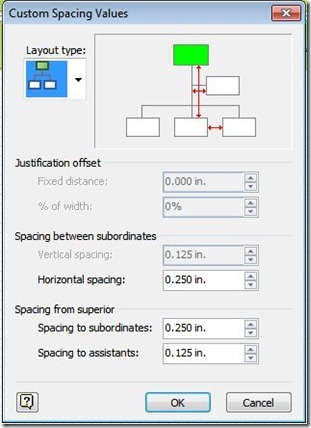 The simplest way is to select looser or tighter, but if you want real control over this select custom values as shown in the image below. 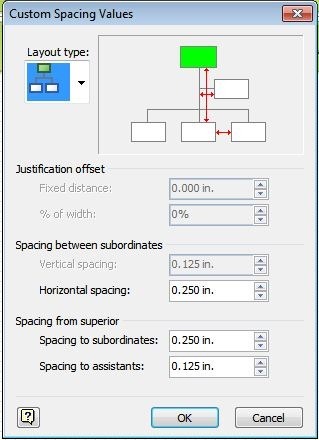 Select the options you want to modify on the drawing, areas not grayed on the menu can be modified and the result will be increased or reduced spacing between org chart boxes according to your changes. 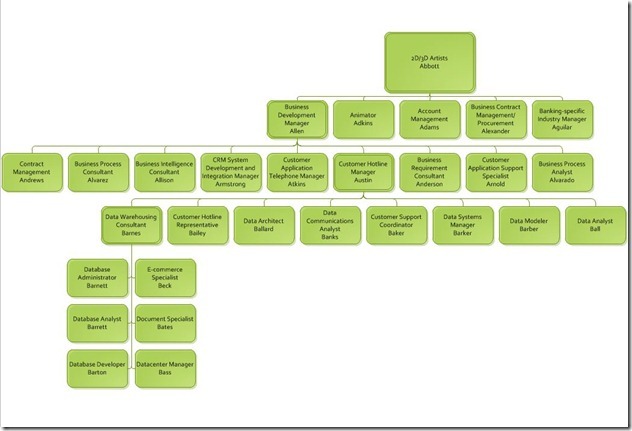 Once you are satisfied with the changes you are then ready to review and then circulate your organization chart. 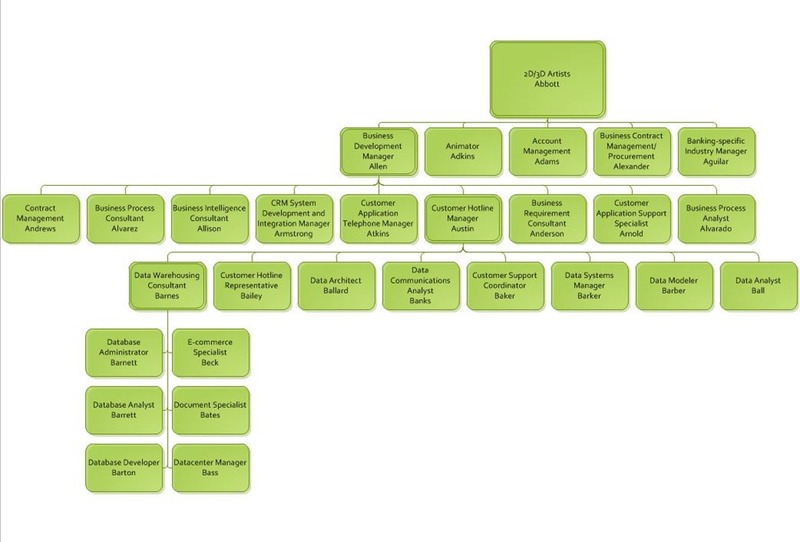 Note: If you dramatically increase the spacing the Org Chart Wizard may create a chart that spans multiple pages. 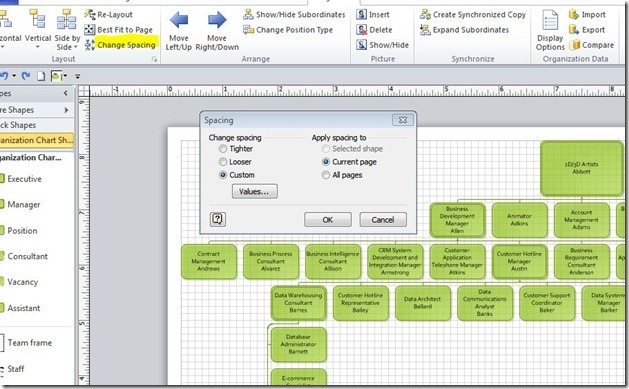 The chart below shows the impact of custom spacing changes.